First, we start with Mohawk carpet – which is luxuriously silky soft and beautiful. Secondly, it is paired with DuPont™ Sorona® – making SmartStrand® carpet the ONLY carpet of it’s kind that has built in stain protection that never washes out. Did we mention the only thing you need to clean it is water? 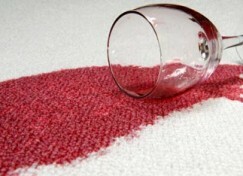 That’s right, this carpet is so stain resilient that a brush and some water will do everything you need. Now there is never a compromise on what is more important – the look, feel and comfort or the carpets ability to withstand the day to day battles any home can bring. Have your children’s birthday parties with extra chocolate ice cream! Enjoy pizza night with the family in the living room and be worry free of spills! This carpet is available in Windsor & Essex County exclusively at Colautti. Just wanted to remind you so that the next time you have a problem with a stubborn stain, you dont need to rent a steam cleaner – you need to talk with the experts in flooring and countertops. You need your Colautti Professional! If you have any questions about Mohawks SmartStrand® ‘Silk’ carpet with DuPont™ Sorona® stain protection, or any general inquiries, please feel free to contact Colautti at your convenience! 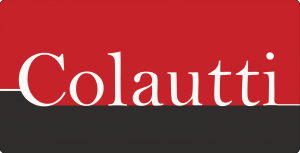 Colautti – When you want professionals who care.